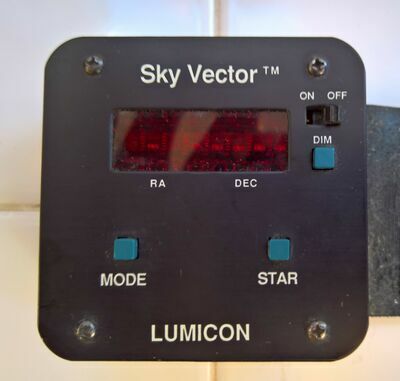 I have a fantastic first-generation Lumicon Sky Vector computer that is still going strong after 30 years. This is the very first model in a small metal case with an external battery - not the subsequent Sky Vector 1 with a plastic case. My challenge is that this earliest Sky Vector model used a cable that merges two flat 5-pin rectangular plugs for each encoder into a single rectangular 10-pin female plug (not sure of the name for this type), plus two wires from a single 9-volt battery into a single cable that plugs into the computer - far different from the wiring system used for digital setting circles today that merge a 4-wire phone plugs for each encoder into a single 8-wire ethernet plug. I would like to be able to use this trusty old computer on a new equatorial mount with a set of new encoders that use the phone/ethernet plugs and cables without destroying the system. The new encoders are the same 4000-step resolution as the originals, so this should work if I can get the wiring right. I don't know exactly how these things work, and could sure use some expert guidance on wiring this properly. Anyone have a wiring chart for this, or is it more a matter of carefully dissecting and labeling the old and new cables to splicing them back together al la Frankenstein. Or, is there a I would sure like to preserve the old cables if possible, but certainly understand if surgery is needed. I hate to say this but I think its time you put the SV on the shelf as a classic memento of your 30 years in astronomy and buy a newer one with way larger database, faster processer(s), and the ability to use the practically universal cables used today. Heck a single split cable from JMI will work on just about every DSC computer made in the last 20 years with no issues. Mainly because most were made by Tangent and the ones after that like the Argo Navis can be made to run on every pin-out of the RJ connectors used during that period. Not everyone needs the gigantic database of the AN when something small like a JMI NGC-miniMAX is good enough. You can pick up a miniMAX with a cable for $50 or less these days and the biggest one, the NGC-MAX, for about $100. And there is always the Sky Commander that a lot of people like. I would suggest preserving what you have to make sure you don't screw up the cable for the SV and render it defunct. You might want to use it on something. Todays DSC computers can run encoders that have more tics and are much more precise as a result. Both my AP mounts have factory 10,000 tic encoders and my Dob currently uses 8,192 tic ones. Some guys with the big Dobs are using 20,000 tic encoders. But how fast you can move the scope depends on how fast its processor is and how many tics it needs to count. I have built a lot of cables over my IT career and the one the SV uses is a POS in my book. Too easy to mess up. Plus you will need to strengthen it by covering it with shrink-tubing as those wires are very small stranded wires and don't react well to wire striping either. 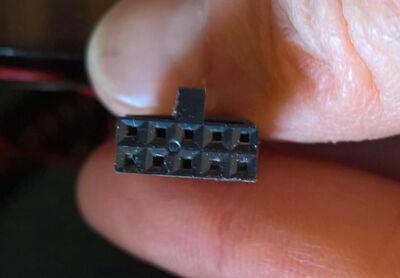 Also no guarantee that there are modern encoders that will fit your mount although as long as the encoder is either the large case or the small case and has the same pin connector it should still be able to work. I could sell you one of my older and smaller DSC computers since it seems like everytime I buy a set of encoders and hardware the owner throws in a computer. And since I used my Argo Navis exclusively I have a couple three computers just lying around in boxes doing nothing. Check with Randy Cunningham at Astrosystems. 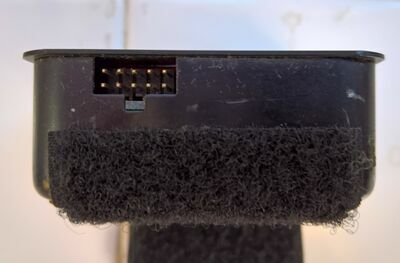 I had a plastic-cased Sky-Vector years ago and he sold me RJ-11 adapters (for my new at the time TeleKit) that soldered onto the pins sticking out of the encoders. He must know what goes to what in order for that to work.